4 piece taper punches. 1 piece centre punch. Here you?ll find the latest and greatest products. In other words ?. When you order from us, you?ll always get a great product at a great price. alloy steel black finish. All chisels clean and sharp. For auction is a 1/2 Inch Harlequin Chisel By William Marples. Nice little chisel, few small dents and paint splashes on the handle and a bit of staining to blade, nothing that serious. Sharp and ready to use. All these chisels are usable although they all need a clean up and sharpen. Rare 1 Inch Paring Bevel Edged Chisel By William Marples Shamrock Brand. Red and yellow resin handle with the shamrock logo pressed in . Blade is a good length with some staining through poor storage, see pictures. No rusting on the blade and sharpened on a tormek ready for honing. Condition is Used. IN USED CONDITION. NICE SET OF CHISELS. Vintage Woodturning Tools, Chisels, Gouges, 22 with handles and 4 without, look at the photos for description, came out of a garage clearance, if your looking for handles for the ones without phone Ronnie Barker and he will get you “for candles” hahaha , courier will cost £10due to weight and need for been well wrapped, thanks for looking. 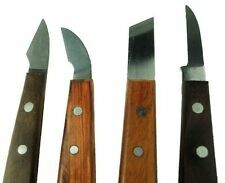 The Chisels are in good condition, they are very sharp and ready to use. New listingMarples bevel edge chisel 1 1/2"
Marples 1 1/2" bevel edge chisel with blue plastic handle. READY TO USE. IN GOOD CLEAN CONDITION. A JOB LOT OF VINTAGE WOODWORKING CHISELS IN NEED OF NEW HANDLES. 21 IN TOTAL. 21 IN TOTAL. CHISELS ARE SHARP. Blade stamped - I Sorby Cast Steel. Lovely big Sorby gouge. Lovely nice grained and coloured boxwood handle with brass ferrule. Sheffield made semi curved wood whittling carving tool chisel. 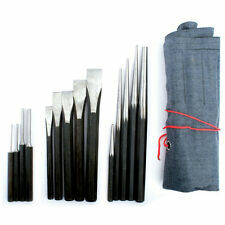 22 chisels as pictured. cannot send to russia. age related marks & wear, see pictures. Interesting old chisels. The longest is 24.5cm. United Kingdom . £3.60 Second Class. S J Addis Front Bent Gouge Carving Tool ~Sweep No.31 ~. Stamped with the compass & square trademark. and "S J ADDIS ~ CAST STEEL" and " 31 ". He or she has kept all their tools well maintained and lightly oiled. A set of chisel's by Clarke woodworker listed as used but they have not been used just lying around getting dusty.box in reasonable condition only a few scratches from being ing garage Would go well with the lathe. Cash on collection or ask for postage quotes Thanks Check out my other listings.. In very good used condition. Found as part of a house clearance. Marples cutter and lever cap. Wooden plane as pictured. Vintage Set Of 6 William Marples Shamrock Brand Bevel Edged Chisels. All Chisels are in good condition only marks are some paint on the 3/4inch handle. Few age marks on the blade but great set. All been sharpened on a tormek ready for honing. An lovely and original set of four (4) stanley 1001 model chisels - with splitproof black plastic handles. and they are very sharp.